I’m one of those people who, when they go to a gig, has to see the support act. It doesn’t matter who they are, I look at it as a way to discover new music. Or, on one occasion, see a fairly big band again (think Dragonforce). The best thing about a lot of rock gigs in Northern Ireland is that, regardless of who is playing, is that local bands are given the chance to show just how good they are. Stormzone were the support act this evening and they knocked it out of the park. This marked the second time I’ve seen these guys, and they never disappoint. Playing a mix of songs from their various albums, they were able to get the crowd going like no support act I’ve seen. Being a local band, they were able to bring along some of their own fans (as was shown by the number of Stormzone tshirts on display). Regardless of that, they were given one hell of a reception. It also marked the first time that I’ve seen a support act have to cut their set short. Not because of any musical reason, but purely because they ran out of time! Y&T were playing an extended set, and they wanted to squeeze every second out of it they could. And with that, Y&T were on stage to a rapturous reception. This had been billed as a bit of a Black Tiger tour, and it didn’t disappoint, getting off to an explosive start with the title track. 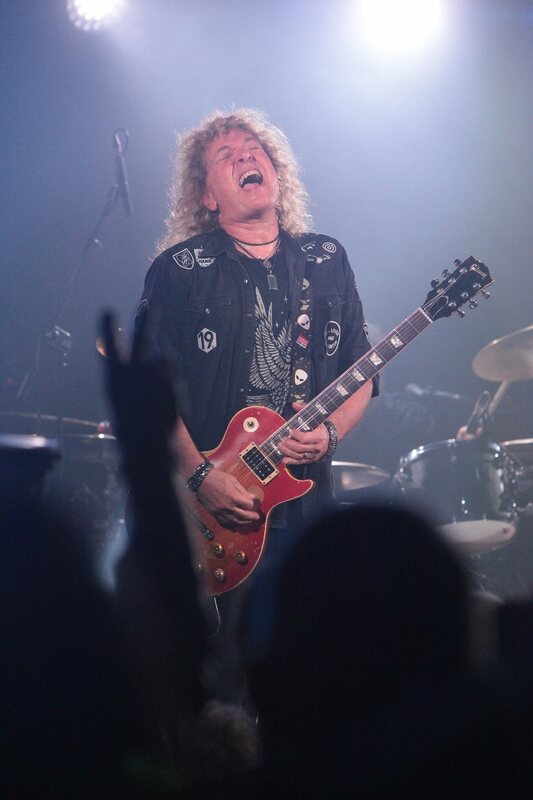 With the amount of energy on show from Y&T, it’s really easy to forget that these guys are in their 60s. Their musicianship is second to none, and really shows off their decades of experience (Dave Meniketti gave a vague indication of when they formed, which may or may not have been 1974…). 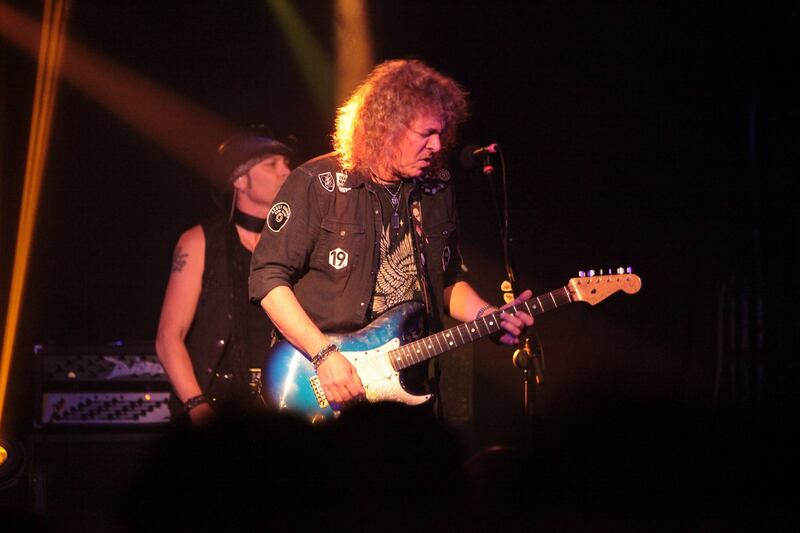 Y&T blasted through chunks of their back catalogue, with nary a nod to the newer Facemelter album. There aren’t many bands who could devote their entire show to their old songs, but Y&T aren’t most bands. When Dave Meniketti dedicated Winds of Change to Leonard Haze, Joey Alves and Phil Kennemore, the Limelight erupted into spontaneous applause. This was definitely an emotional rendition of this great song, and the electricity was palpable as we watched four incredible musicians pay tribute to their dearly departed brethren. 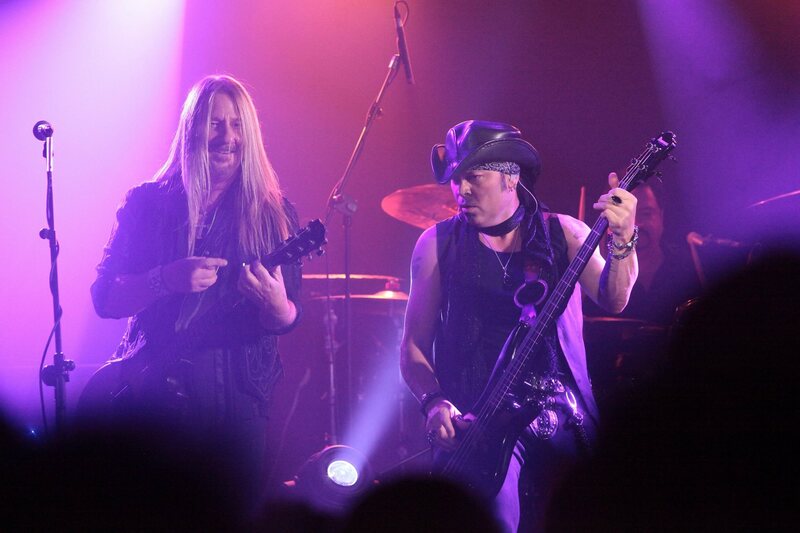 This show also saw them play a couple of Meniketti’s solo songs – and quite honestly, you would have thought they were bonafide Y&T staples, so well were they played. For anyone who hadn’t checked out his solo albums, this was a great introduction to them. And then there were the solos. There are times when a drum solo can just be an excuse for the drummer to get involved. Not tonight. This was, quite simply, one of the best drum solos I have ever heard. Mike Vanderhule leaves nothing behind as he handles the drum kit like the expert he is. Given that there are several superb solos from various members of Y&T (and none of them are exactly slouches on their respective instruments! ), it really says a lot that Mike’s solo stood out so much. This was quite simply a superb set by Y&T. I’ve seen them several times over the past few years (in fact, they’re the band that I’ve seen live most often) and they have never disappointed. Tonight felt different somehow; It was like the older songs fitted them like an old slipper. When they came back out for the encore, the place was absolutely rocking. Finishing with “Forever” felt particularly apt – considering they had just played for almost two and a half hours, I doubt there was a single person in attendance who wouldn’t have wanted them to play forever. A lot of current bands could do worse than watch a Y&T live show. You don’t need a fancy lightshow, smoke machines or mega visuals to create a great show. You just need great songs, great musicians and a great crowd. With these guys, you’re guaranteed the first two – it’s up to you to bring the third. Here’s to many more shows from these legends of rock.